In so far as our human, all-too-human minds supervene upon human, all-too-human bodies (i.e., brains) — subject to all the ills that flesh is heir to — the biological evolution of the brain entails the evolution of the human mind. Indeed, one of the most interesting features of hominid evolution is brain evolution, which has been called The Runaway Brain. 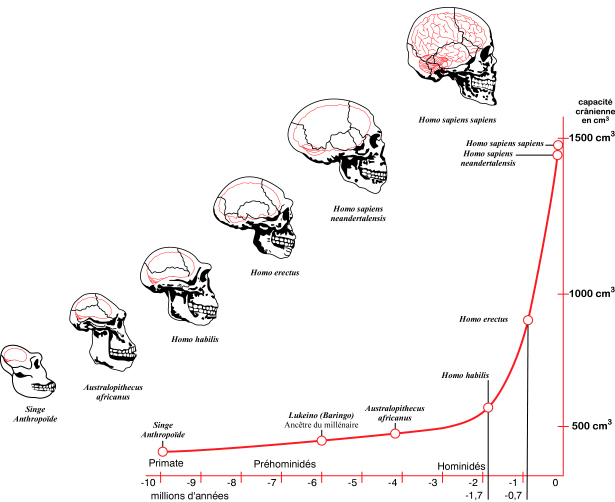 Brain evolution has been a distinctive constituent of human evolution. 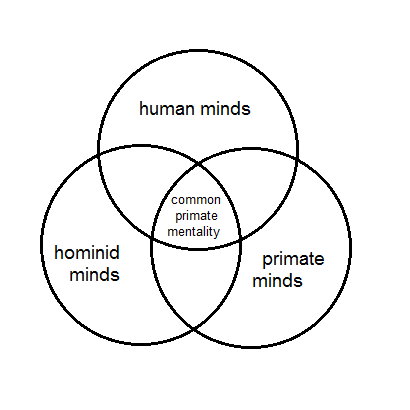 Why did the brain take off in a runaway escalating spiral among hominids but not in other species? The likely answer is that, at some point in our history — a history that extends well back in time before homo sapiens — human beings and our predecessor species engaged in direct competition engaging intellectual capacity — the survival of the smartest. The human mind, and its distinctive form of consciousness, is the result of an evolutionary “arms race” in intelligence (perhaps even constituting a Fisherian runaway, though not necessarily sexually dimorphic). The impressive brains of several mollusc species, which possess sophisticated camera eyes and a structural complexity prerequisite to controlling the coloration of the entire skin surface, never seems to have been drawn into a cognitive evolutionary spiral as happened with hominids. It has been argued that the human brain has reached the practical limitations of biologically-based intelligence. A much larger brain would slow down signaling between the regions of the brain, and a much smaller brain would fall below the threshold necessary for consciousness, sentience, and intelligence. 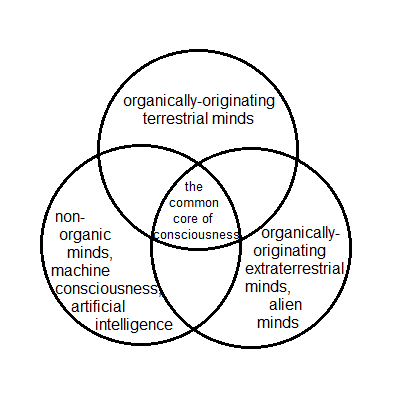 While this may be true for strictly biological entities, it leaves aside the possibility of the technological enhancement of an organic brain, or the possibility of pharmaceutical-based cognitive enhancement, in the form of drugs that would improve focus and concentration, or otherwise enhance cognitive function without organic changes to the basic structure and size of the human brain. So there may yet be room for improvement, even if our brains remain more-or-less the same, biologically and organically speaking. The evolution of our ideas has been almost as slow as the evolution of our brains. If we look back on the long history of hominids and see the use of tools by early hominids, and eventually the use of fire, were developments of the first importance, but which remained static for literally millions of years. Later with homo sapiens came language, and later still came written language. Only in the past two hundred years have we added electronic telecommunications (the first telegraph for regular communication became operable in 1833), which have so greatly accelerated the utility of language, and allowed language to grow and branch out in new and unexpected ways, that we tend to forget that human beings spoke to each other for tens of thousands of years before anyone was able to put into practice the idea of written symbolic communication. This at times painfully slow pace of development contrasts with our habit of speaking of “revolutions” in our intellectual development (like the Copernican revolution). Ideas build one upon another, with the earlier often being the condition of the possibility of the later, which makes these earlier ideas, in Kantian terms, the transcendental condition of later ideas. In the same way, our bodies in evolution — and our bodies as specific to our minds, i.e., our brains — are similarly constructed incrementally through history, with the earlier developments being the condition of the possibility of later developments. The evolutionary and incremental development of our brain, our mind that supervenes on our brain, and our ideas that supervene on our minds, is slow and gradual and only reveals its radical character over the very long term. Without the discoveries of scientific historiography, which has restored to us the once-lost deep history of our species, we might assume that everything remains unchanged in an eternal and unchanging universe — which was, in fact, the dominant conception of human beings in the cosmos in the past. The reader may find my title — evolutionary transcendence — a bit odd, perhaps not quite right, since we understand by evolution an immanent process, thoroughly integral with the mundane world, and not at all as something “above” or “independent of” the world. Indeed, it would make no sense at all to speak of evolution that is “above” the world. Nevertheless, evolution has, over the long term, repeatedly resulted in radical transcendence that supervenes upon the incremental Kantian transcendental conditions that hold for each stage of a developmental history. The attribute of being above and independent of the universe; distinguished from immanence. Indwelling, inherent; actually present or abiding in; remaining within. Both of the terms — transcendence and immanence — are heavily laden with theological connotations, as the further definitions and examples from the OED make clear. This theological baggage makes the terms problematic, but, if we set aside the connotations of otherworldliness, there is no other word for the consequences of evolution over la longue durée than than later forms — of life and of ideas — transcend earlier forms. Thus is it that existential viability in an evolving world is predicated upon the ability to change, even to the point of essential change, or what Aristotle would have called metábasis eis állo génos (μετάβασις εἰς ἄλλο γένος) — a change into another kind of genus (or category — for Aristotle this was an illegitimate leap, a non sequitur). We usually think of evolution as, quite literally, a change into another kind of species, so the that idea of a change into another kind of genus presents itself as something more radical that evolution. This is merely a façon de parler, since all the biodiversity of the world — from species through genus, family, order, class, and so forth — is the result of repeated evolutionary branching that shapes geographical varieties in the shorter term and genuses and other biological classifications in the longer term. As suggested above, the biological evolution of the brain bears upon the cognitive history of the mind, and the cognitive history of the mind bears upon the intellectual history of ideas. Driven by the imperative of existential viability, the organism must change, if it changes at all, in such a way as to remain viable — competitive — at every stage of its development. Thus each individual change is small, while the cumulative effect increases over time. And so with the mind and its ideas: at each stage of development the mind and its ideas must be viable in and of themselves, or result in catastrophic failure that marks the extinction of this particular line of development. In a similar vein I also wrote about this unlimited and incremental development of ideas and the consciousness that embodies ideas in The Growth of Historical Consciousness. Our historical experience grows with the passage of history, so that later history is experienced against a different intellectual background, which changes the nature of history and its experience. This is a social instance of an argument that Bergson formulated almost a hundred years ago, when he argued that the individual’s experience of life is cumulative and therefore plays a role in later experience, which makes life non-deterministic. It is fallacy to suppose that we are stuck with a finite stock of ideas, or a finite number of states (or forms) of consciousness (what Gödel, following Turing, calls distinguishable states of mind), just as it is a fallacy to suppose that there are only a finite number of possibilities for political society, for economic organization, for the administration of justice, for social institutions, for science, for mathematics, for philosophy, or or any other human activity. It is a fallacy, and it is a familiar fallacy that we have previously encountered in Comte de Maistre’s Finitistic Political Theory. We do not need to settle for a static, stationary conception of the human future; our aspirations can be as dynamic as our imagination is free to conceive as-yet-unactualized possibilities. Otto Neurath, “Protocol sentences,” in Logical Positivism, edited by A.J. Ayer, Free Press, Glencoe, IL, 1959, p. 201. Naval architecture, then, under the constraint of rebuilding at sea while staying afloat, is a better model for our epistemic architecture, than the idea of a grand and permanent structure, a cathedral of the mind. Under these conditions, we can gradually bring within the sphere of the mind’s capability ever more refined and comprehensive conceptions that better reflect the structure of the world itself. Such conceptions are never perfect, but they are also never so inadequate as to leave us with an absolute mystery. Scientific mysteries are subject to revision, even as the formerly inconceivable comes within the scope of the mind and reveals new mysteries for the mind to tackle in turn. Evolutionary transcendence comes about gradually, incrementally, bit-by-bit, reconfiguring our epistemic architecture just enough with each development that we can understand a little bit more than we understood before. Gödel’s “understand[ing] abstract terms more and more precisely as we go on using them,” such that, “more and more abstract terms enter the sphere of our understanding” is the gradual mechanism by which we “get outside the constitutive structure of our minds” — only on the margins, at the far edge of reason, and to a limited extent. Better, we revise the constitutive structure of our minds, and thereby get outside the constitutive structure of our mind as it was in the past. What is it like to be a serpent? Conscious experience is a widespread phenomenon. It occurs at many levels of animal life, though we cannot be sure of its presence in the simpler organisms, and it is very difficult to say in general what provides evidence of it. (Some extremists have been prepared to deny it even of mammals other than man.) No doubt it occurs in countless forms totally unimaginable to us, on other planets in other solar systems throughout the universe. But no matter how the form may vary, the fact that an organism has conscious experience at all means, basically, that there is something it is like to be that organism. There may be further implications about the form of the experience; there may even (though I doubt it) be implications about the behavior of the organism. But fundamentally an organism has conscious mental states if and only if there is something that it is to be that organism—something it is like for the organism. The choice of a bat for this thought experiment is interesting. As a mammal, the bat shares much with us in its relation to the world, but its fundamental mechanism of finding its way around — echolocation — is sharply distinct from our primate experience of the world, dominated as it is by vision. Thus while what it is like to be a bat overlaps considerably with what it is like to be a hominid, there are also substantial divergences between being a bat and being a hominid. A bat has a different sensory apparatus than a hominid, and the bat’s distinctive sonar sensory apparatus presumably shapes its cognitive architecture in distinctive ways. As a philosopher I have a great fascination with the sensory organs of other species, which seem to me both to pose epistemological problems as well as to suggest really interesting thought experiments. In my post on Kantian Critters I argued that if human beings must have recourse to the transcendental aesthetic in order to sort out the barrage of sense perception that the brain and central nervous system receive, then other terrestrial species, constituted as they are much like ourselves, must also have recourse to some transcendental aesthetic of their own (or, if you prefer Husserl to Kant, and phenomenology to idealism, other species must employ their own passive synthesis). 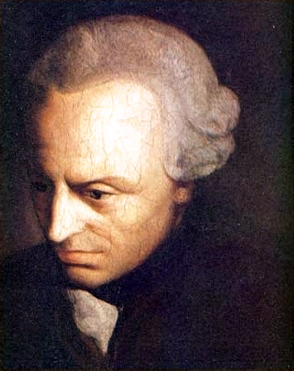 This interpretation of Kant obviously presupposes a naturalistic point of view, which Kant did not have, but if we grant this scientific realism, the Kantian insight regarding the transcendental aesthetic remains valid and may moreover be extrapolated beyond human beings. Can the Kantian transcendental aesthetic be reinterpreted in the light of contemporary natural history? Distinctive transcendental aesthetics of distinct species would follow from distinct sensory apparatus and the distinctive cognitive architecture required to take advantage of this sensory apparatus. This implies that distinct species “see” the world differently, with “see” here understood in a comprehensive sense and not in a purely visual sense. 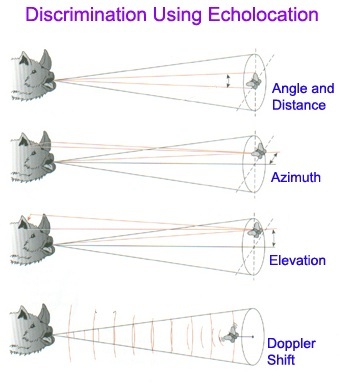 Although bats rely on sonar, they “see” the world in his comprehensive sense, even if their eyes are not as good as our hominid eyes, and not nearly as good as the eyes of an eagle. A couple of ethologists, Dorothy L. Cheney and Robert M. Seyfarth, have written several books on the Weltanschauung of other species, How Monkeys See the World: Inside the Mind of Another Species and Baboon Metaphysics: The Evolution of a Social Mind. Does a primate have more in common, Weltanschauung-wise (if you know what I mean), with a flying mammal such as a bat (since any two mammals have much life experience in common) or with a terrestrial reptile such as a serpent? 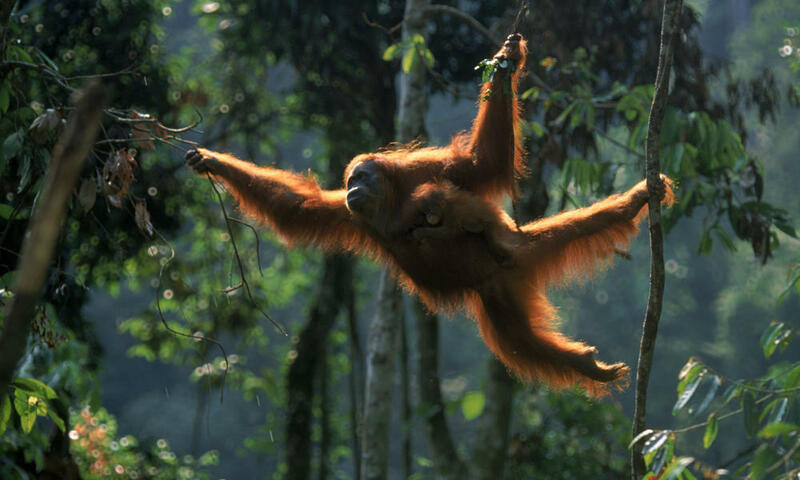 Primates don’t know what it is like to fly with their own wings, but they also don’t know what it is like to move along the ground by slithering. Does a primate have more in common, again, Weltanschauung-wise, with a reptile that has given up its legs or with an octopus that never had any legs? We might be able to refine these questions a bit more by a more careful consideration of particular sensory organs and the particular cognitive architecture that both is driven by the development of the organ and makes the fullest exploitation of that organ for survival and reproductive advantage possible. 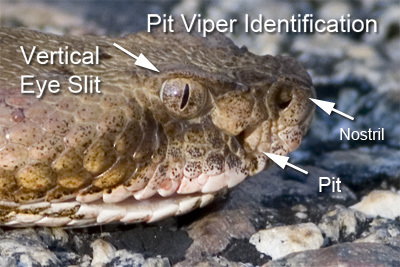 Among the most intriguing sense organs possessed by other species but not by homo sapiens is the pit of the pit viper, which is a rudimentary sensing organ for heat. Since pit vipers are predators who typically eat small, furry animals with a high metabolism and presumably also a high body temperature, being able to sense the body heat of one’s prey would be a substantial selective advantage. 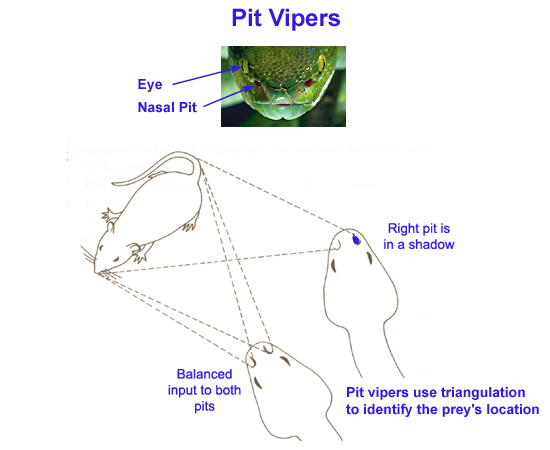 Because the pit of the pit viper represents such a great selective advantage, one would expect that the pit will evolve, driven by this selective pressure. To paraphrase what Richard Dawkins said of wings, one percent of a infrared sensing organ represents a one percent selective advantage, and so on. Thus a one percent improvement of an existing pit would represent another one percent selective advantage. While it would be difficult to observe such subtle advantage in the lives of individual organisms, when in comes to species whose members number in the millions, that one percent will eventually make a significant difference in differential survival and reproduction. A statistical study would reveal what a study of individuals would likely obscure. There is a sense in which the pit of the pit viper is like an eye for perceiving infrared radiation. The infrared radiation spectrum lies just beyond the visible spectrum at the red end, so having a pit like a pit viper in addition to color vision would be like being able to see additional colors beyond red. Having a slightly different visible spectrum is not uncommon among other species. Many insects see a little way into the ultraviolet spectrum (at the opposite end of our visible spectrum from red) and flowers are said to present colorful displays to insects in the ultraviolet spectrum that we cannot see (except for the case I heard about some years ago about a man whose eye was injured and as a result of the injury was able to see a little way into the ultraviolet beyond the visible spectrum). Partly due to this Darwin quote, the evolution of the eye has been the topic of some very interesting research that has helped the clarify the development of the eye. There is a wonderful documentary on evolution, the first episode of which was titled Darwin’s Dangerous Idea (presumably intended to echo Daniel Dennett’s well known book of the same title), which an excellent segment on the evolution of the eye which you can watch on Youtube. In this documentary the work of Dan-Eric Nilsson of the University of Lund is shown, and he demonstrates in a particularly clear and concrete way the step-by-step process of improving vision through the increasing complexity of the eye. When I was watching this documentary recently I was thinking about how the pit of the pit viper resembles the early stages of the evolution of the eye. The pit of the pit viper is a depressed, folded area lined with infrared sensitive nerve endings that allows limited directional sensitivity. In the long term future of the pit of the pit viper, which at present seems to correspond to the earliest stages of the evolution of the vertebrate eye, sometimes called a “cup eye,” there would seem to be much room for improvement. 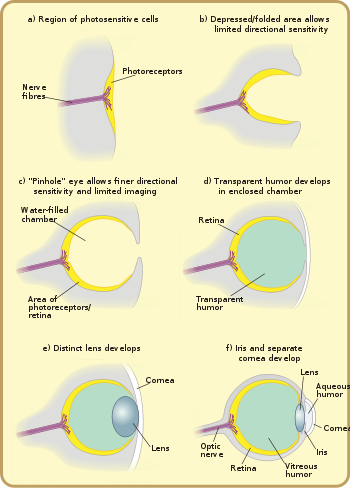 Of course, the details of infrared (IR) perception are different than the details of human visible spectrum perception, but not so different that we cannot imagine a similar series of stepwise improvements to the infrared pit that might, in many millions of years, yield sharp, clear, and directional infrared vision. If this infrared vision became sufficiently effective, it is possible that brain and body resources might be redirected to focus on the pits, and the eyes could eventually degrade into a vestigial organ, as in bats and moles. 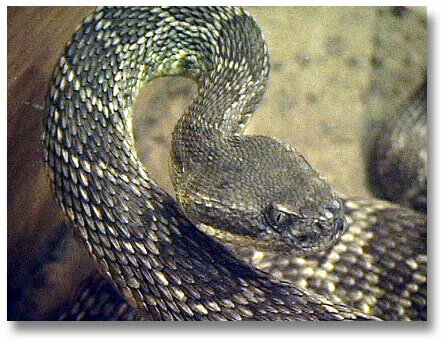 After all, snakes gave up their legs, so there’s no reason they shouldn’t also give up their eyes if they have something better to fall back on. There is another possibility, and that is the evolutionary advantage that might be obtained through adding a pair of fully functional IR “eyes” to a pair of fully functional visible spectrum eyes. Such a development would be biologically costly, and it would be much more likely that a pit viper would chose one evolutionary path or the other and not both. Yet there are some rare instances of biologically costly organs (or clusters of organs) that have been successful despite the cost. The brain is a good example — or, rather, large complex brains that evolve under particular selection pressures but which later are exapted for intelligence. Natural selection is a great economist, and often reduces organisms to the simplest structure compatible with their function. This is one of the reasons we find the shapes of plants and the bodies of animals both elegant and beautiful. The economy of nature was resulted in the fact that a large brain, and the intelligence that large brains make possible, are rare. Despite their rarity, and their biological expense, large complex brains do emerge (though not often), and, like the eye (which has emerged repeatedly in evolutionary history), large brains have emerged more than once. 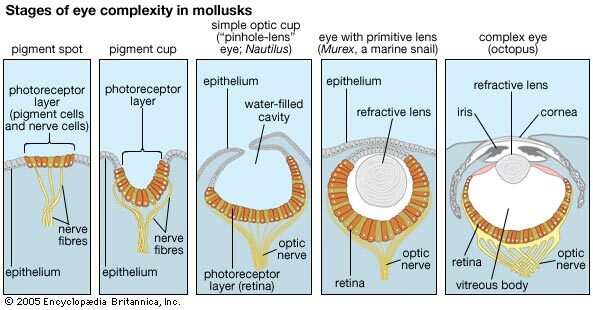 Interestingly enough, complex eyes and large complex brains are found together not only in primates but also in molluscs. The octopus (among other molluscs) is bequeathed a large, complex brain because the octopus went down the evolutionary path of camouflage, and the camouflage of some molluscs became so elaborate that almost every cell on the surface of the organism’s skin is individually controlled, which means a nerve connected to every spot of color on (or under) the skin, and a nervous system that is capable of handling this. It requires a lot of processing power to put on the kind of displays seen on the skin of octopi and cuttlefish, and an evolutionary spiral that favored the benefits of camouflage also then drove the development of a large, complex brain that could optimize the use of camouflage. How an octopus sees the world is as fascinating an inquiry as what it is like to be a bat — or a serpent, for that matter. 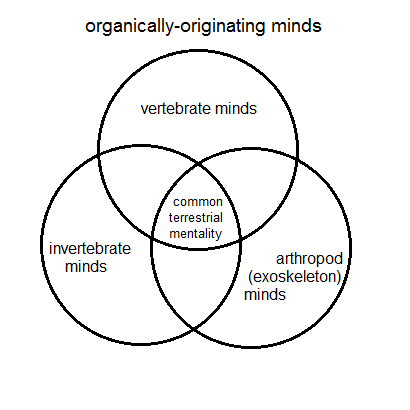 Both the octopus and an arboreal primate live in a three dimensional habitat, and this may have something to do with their common development of sharp eyesight and large brains, although there are vastly greater number of organisms in the sea and in trees with far smaller brains and far less cognitive processing power. (A recent study reported in The New York Times suggests a link between spatial ability and intellectual innovation, and while the study was primarily concerned with the ontogenesis of creativity, it is possible that the apparatus of spatial perception and the cognitive architecture that facilitates this perception is phylogenetically linked to intellectual creativity.) This simply shows us that intelligence is one strategy among many for survival, and not the most common strategy. Life in an arboreal niche would make spatial ability a significant selection pressure. If the evolution of the brain and the exaptation of intelligence to produce civilization did not result in the disproportionate evolutionary success of a single species, it seems likely that we would see intelligence emerge repeatedly in evolutionary history, much as eyes have evolved repeatedly. 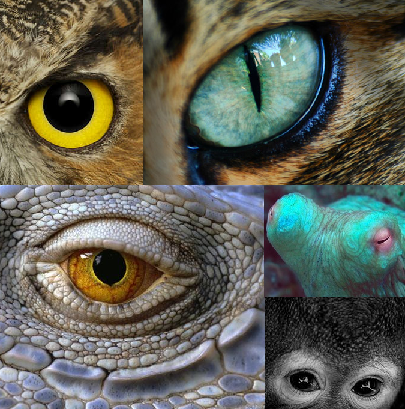 On other worlds with other natural histories, under conditions where intelligence does not allow a single species to dominate (possibly due to some selection pressure that does not operate on Earth), it is possible that evolution results in the repeated emergence of intelligence just as on Earth evolution has resulted in the repeated emergence of eyes. On Earth, intelligence preempted another developments, and means that not only human history but also natural history were irremediably changed. Mass extinctions have repeatedly preempted developments in terrestrial life, and now it seems that an anthropogenic mass extinction event is again preempting the development of life on Earth — further demonstrating human dominance of the planet. In The Preemption Hypothesis I argued that industrialization preempted other developments in the history of civilization (for more on this also see my post Human Agency and the Exaptation of Selection). This current line of thought makes me realize that purely biological preemption is also a force shaping history. Consciousness, and then intelligence arising from biochemically based consciousness, is one such preemption of our evolutionary history. Another preemption of natural history that has operated repeatedly is that of mass extinction. But whereas historical preemptions such as the development of large, complex brains or industrialization represent a preemption of greater complexity, mass extinctions represent a preemption of decreased complexity. It seems that “weedy” species that are especially hearty and resilient tend to survive the rigorous of mass extinctions; the more delicate and refined productions of natural selection, which are dependent upon mature ecosystems and their many specialized niches, do not fare as well when these mature ecosystems are subject to pressure and possible catastrophic failure. One could think of mass extinctions, and indeed of all historical preemptions that favor simplicity over complexity, as a catastrophic “reset” of the evolutionary process. Events such as mass extinctions can favor rudimentary organisms that are sufficiently hardy to survive catastrophic changes, but, as we have seen, there is also the possibility of historical preemptions that favor greater complexity. The Cambrian Explosion, for example, might be considered another instance of an historical preemption. The Cambrian explosion, or Cambrian radiation, was a preemption of historical continuity. There is a tension in the structure of history between continuity and preemption. In the particular case of the earth, the continuity of natural history has been interrupted by the preemption of intelligence and then industrialization. These preemptions of greater complexity — in contradistinction to preemptions of lesser complexity, as in the case of mass extinctions — may provide for the possibility of the continuity of earth-originating life beyond the terrestrial biosphere. In the case of an otherwise sterile universe, the intelligence/industrialization preemption would be a basis of a new explosion or radiation of earth-originating life in the Milky Way. In the case of a universe already living, it may be only intelligence and industrial-technological civilization that is a novelty in the natural history of the universe. Whatever happens on the largest scale of life, as long as life continues to evolve on the earth, its development is likely to be marked by both continuity and preemptive developments. In thinking about the pit viper, I suggested above that the pit viper might eventually, over many millions of years, develop a fully functional pair of IR eyes in addition to its visible spectrum eyes. This suggestion points to an interesting possibility. In so far as complex life is allowed to develop in continuity, with a minimum of preemptions, specialization and refinement of existing mechanisms of survival may give rise of species of greater complexity than what we know today. While mass extinctions have repeatedly cleared the ground and given a more or less blank slate for the radiation of resilient weedy species, this may not always be the case. An event of this magnitude becomes less likely as the solar system ages and settles down into a routine. 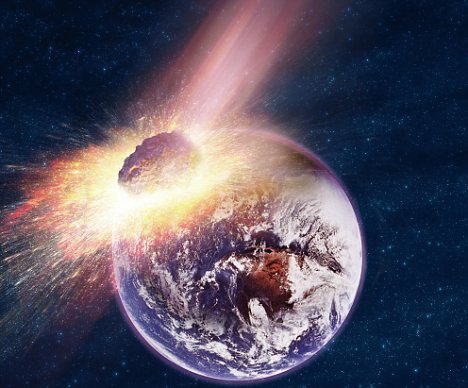 As our earth and the solar system of which it is a part becomes older, catastrophic events may become less common. For example, stray bodies in the solar system that might collide with the earth, while once common in the early solar system, eventually end up colliding with something or getting swept out of the path of the earth’s orbit by the gravity of Jupiter. If, moreover, civilization expands extraterrestrially and seeks to protect the earth as an existential risk mitigation measure, life on earth may become even more secure and even less subject to disruption and preemption than in the past. New species might eventually come into being with a delicate complexity of sensory organs and accompanying cognitive architecture that facilitates these senses. Imagine species with a whole range of sensory organs that complement each other, without former mainstay sensory organs being reduced to vestigial status, and this might possibly be the future of life on Earth. The reader can compare my earlier post, The Future of the Pit Viper, which was the origin and inspiration of this post. “Crick’s Deepity” sounds like the name of some unusual topographical feature that would be pointed out on local maps for the amusement of travelers, so I will have to explain what I mean by this. What is “Crick’s deepity”? The “Crick” of the title is none other than Francis Crick, famous for sharing the credit for discovering the structure of DNA with Watson. It will take a little longer to explain what a “deepity” is. I’ve gotten the term from Daniel Dennett, who has introduced the idea in several talks (available on Youtube), and since having learned about it from watching a video of a Dennett talk I found the term on the Urban Dictionary, so it has a certain currency. A deepity is a misleading statement which seems to be profound but is not; construed in one sense, it is simply false; construed in another sense, it is true, but trivially true. The most commonly adduced deepities are those that depend upon the ambiguity of quotation marks, so they work much better when delivered as part of a lecture rather than when written down. Dennett uses this example — Love is just a word. If we are careful with our quotation marks, this becomes either “‘love’ is just a word” (trivially true) or “love is just a word” (false). Twentieth century analytical philosophy expended much effort on clarifying the use of quotation marks, which are surprisingly important in mathematical logic and philosophical logic (Quine even formulated quasi-quotes in order to try to dispel the confusion surrounding the use-mention distinction). The use-mention distinction also became important once Tarski formulated his disquotational theory of truth, which employes the famous example, “‘Snow is white’ is true if and only if snow is white.” The interested reader can pursue on his own the relationship between deepities and disquotationalism; perhaps there is a paper or a dissertation here. In one of his lectures that mention deepities Dennett elaborates: “A deepity is a proposition that seems to be profound because it is actually logically ill-formed.” Dennett follows his deepity, “Love is just a word,” with the assertion that, in its non-trivial sense, “whatever love is, it isn’t a word.” The logical structure of this assertion is, “Whatever x is, it isn’t an F” (or, better, “There is an x, and x is not F”). What Dennett is saying here is that it is a category mistake to assert, in this case, that “x is an F” (that “love is a word”). No one should be astonished by this hypothesis; reductionism is as old as human thought. The key passage here is “no more than,” although in similar passages by other authors one finds the expression, “nothing but,” as in, “x is nothing but y.” This is the paradigmatic form of reductionism. Some of my readers might be a bit slack-jawed (perhaps even, might I say, astonished) to see me call this paradigmatic instance of scientific reductionism a “deepity.” In taking up Dennett’s term “deepity” and applying it to the sort of scientistic approach to which Dennet would likely be sympathetic is clearly a case of my employing the term in a manner unintended by Dennett, perhaps even constituting a use that Dennett himself would deny was valid, if he knew of it. Indeed, Dennett is quite clear about his own reductionist view of mind, and of the similarity of his own views to those of Crick. Dennett followed this with counter-arguments that he himself offered (suggesting that Dennett is not himself quite the reductionist that he paints himself as being in popular lectures), but said of Crick that, “He later refined his thinking on this score, but still, he and neuroscientist Christof Koch, in their quest for what they called the NCC (the neural correlates of consciousness), never quite abandoned their allegiance to this idea.” Indeed, not only did Crick not abandon the idea, he went on to write an entire book about it. The history of ideas in the last few centuries has been punctuated by major upheavals in thought that have turned our worldview upside down and created what Thomas Kuhn called “scientific revolutions.” The first of these was the Copernican revolution, that, far from being the centre of the Universe, the Earth is a mere speck of dust revolving around the Sun. Second came Darwin’s insight that we humans do not represent the pinnacle of creation, we are merely hairless neotonous apes that happen to be slightly cleverer than our cousins. Third, the Freudian revolution, the view that our behaviour is governed largely by a cauldron of unconscious motives and desires. Fourth — Crick and Watson’s elucidation of DNA structure and the genetic code, banishing vitalism forever from science. And now, thanks once again partly to Crick, we are poised for the greatest revolution of all — understanding consciousness — understanding the very mechanism that made those earlier revolutions possible! As Crick often reminded us, it’s a sobering thought that all our motives, emotions, desires, cherished values, and ambitions — even what each of us regards as his very own ‘self’ are merely the activity of a hundred billion tiny wisps of jelly in the brain. He referred to this as the “astonishing hypothesis” the title of his last book (echoed by Jim Watson’s quip “There are only molecules, everything else is sociology”). Placing Crick’s thought in the context of the narrative that furnishes much of its meaning suggests further contexts for Crick’s thought — the ultimate intellectual context that inspired Crick, as well as alternative contexts that place a very different meaning and value on Crick’s reductionism. Surprisingly, as it turns out, the ultimate context of Crick’s views is the most simple-minded theologically-tinged science imaginable, which at once makes Dennett’s above-quoted observation about Crick’s and Eccles’ common ground pregnant with meaning. Crick’s contempt for philosophical approaches to the problem of consciousness is so thick it practically drips off the page, and furnishes a perfect example of what I have called fashionable anti-philosophy. Despite Crick’s contempt for philosophy, Crick jumps directly into the use of theological language by repeatedly invoking the idea of a human “soul” — indeed, his book is subtitled, “the scientific search for the soul.” This is an important clue. Crick rejects philosophy, but he embraces theology. In other words, Crick’s position is theological, and Crick’s theological frame of mind is at least in part responsible for Crick’s dismissive attitude to philosophy. 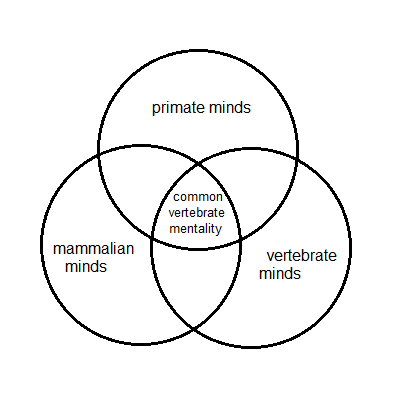 Many contemporary philosophers (not to mention contemporary scientists) tie themselves into knots trying to avoid saying that thought and ideas and the mind are distinct from material bodies and physical processes, not because they can’t tell the difference between the two (like G. E. Moore’s famous dream in which he couldn’t distinguish propositions from tables), but because to acknowledge the difference between thoughts and things seems to commit one to a philosophical trajectory that cannot ultimately avoid converging on Cartesian dualism — and if there is any consensus in contemporary philosophy, it is the rejection of Cartesian dualism. How are thoughts different from things, in so far as we understand “things” in this context to be corporeal bodies? The examples are so numerous and so obvious that it scarcely seems worth the trouble to cite a few of them, but since many people — Crick and Dennett among them — give straight-faced accounts of reductionism, I guess it is necessary. So, think of a joke. Or have someone tell you a joke. If the joke is really funny, you will be amused; maybe you will even laugh. But if you had an exhaustive delineation of brain structure and brain processes that correspond with the joke, nowhere in the brain structure or processes would you find any thing funny or amusing. If you are a brain scientist you might find these brain structures and processes to be fascinating, but unless you’re a bit eccentric you are not likely to find them to be funny. Similar considerations hold for tragedy: watch or read a great tragedy, and then see if you can find anything tragic in the brain structures and processes that correspond with viewing or reading a tragedy. If you are honest, you will find nothing tragic about brain structures and processes. Again, take two ideas, one of which is logically entailed by the other — of, if you like, take a syllogism and make it easy on yourself: Socrates is a man, All men are mortal, Therefore Socrates is mortal. 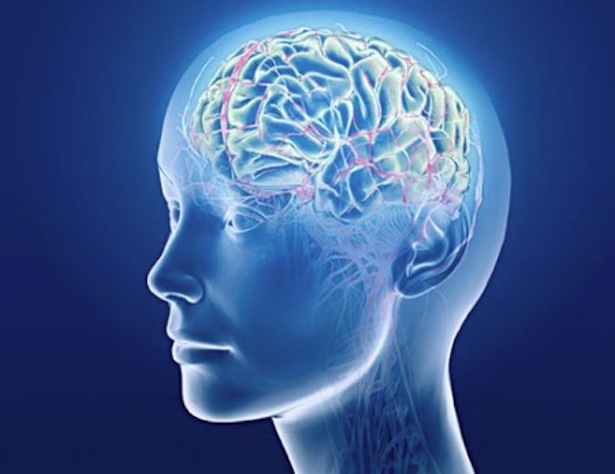 Find the brain structures and processes that correspond to these three propositions, and see if there is any relationship of logical entailment between the brain structures and processes. But how in the world could a brain structure or process be logically entailed by another brain structure or process? This is simply not the kind of property that brain processes and structures possess. To conflate thoughts and things is a category mistake, and in so far as category mistakes are violations of philosophical logic, expressions that formulate category mistakes are logically ill-formed. When logically-ill formed propositions seem profound — the sort of thing which, if true, would be earth-shattering — but in fact are merely false, then you have what Dennett calls a “deepity.” Thus Crick’s deepity is his identification of “your joys and your sorrows, your memories and your ambitions, your sense of personal identity and free will” with “the behavior of a vast assembly of nerve cells and their associated molecules.” If this were true, it would be earth-shattering, but in fact it is a logically ill-formed expression that is a deepity. Whatever your joys, sorrows, and memories are, they certainly are not the behavior of nerve cells. That much should be uncontroversial, so let us call a spade a space, and a deepity a deepity. There were a number of old cars in the town, so I took this one street scene with three cars from the 1930s. There are also a couple of contemporary cars, as well as a few other clues that this is not an old photograph, but if I had been a bit more careful I see that it would have been possible to take a picture that looks like a vintage post card. 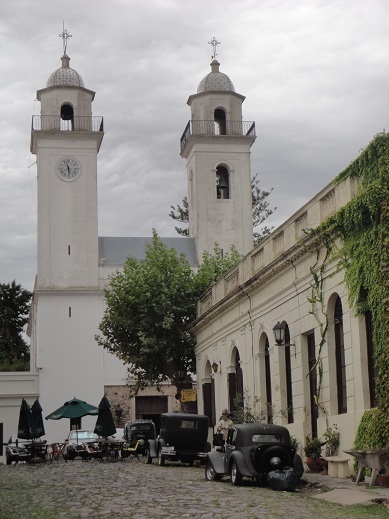 The Historic Quarter of the City of Colonia del Sacramento is on the UNESCO World Heritage list, which is always a good indication that a particular place will be worth a stop and a look. I’ve been to several UNESCO sites on the World Heritage List, and I always enjoy them, but it almost always is the case that they are different from what I expected. 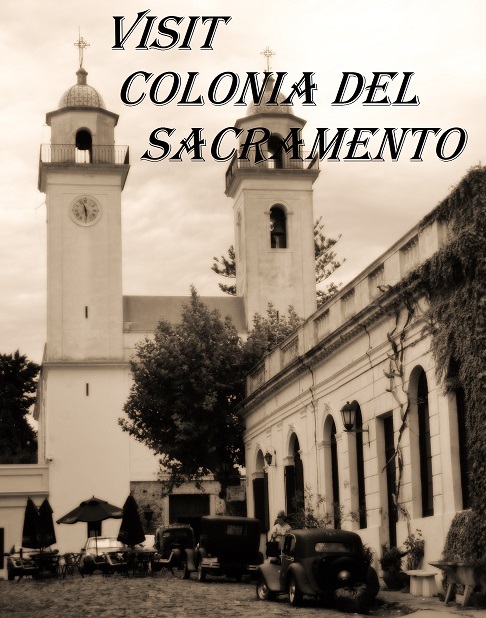 Colonia was not exactly what I expected, but that was great. That is why one travels: in order to have one’s concepts corrected by one’s percepts, just as one thinks in order to have one’s percepts corrected by one’s concepts. Thought and experience are an indissoluble unity; it is when we divide them and compartmentalize them that we get into trouble. Why travel? What is to be gained from travel? 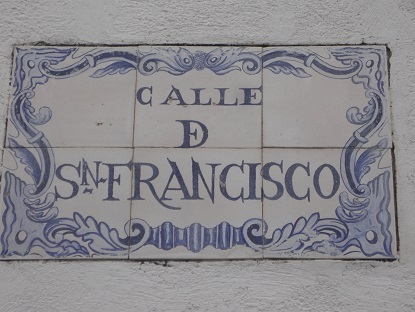 Travel is all about challenging assumptions. One could simply stay at home, read books, look at travel brochures, and watch travel videos, convincing oneself that one had learned all there is to know about a place, and never bother to go there oneself. But we all know that you do need to eventually go to the place — whatever the place happens to be — if you want to understand it on its own terms, rather than attempting to understand a place one has never visited on the basis of one’s preconceived idea of the place. To say that thorough knowledge of a place is not adequate to saying that one really knows a place made me realize that this suggests a generalization of a thought experiment in the philosophy of mind known as “Mary’s Room.” In the Mary’s Room thought experiment, Mary is a scientist locked in a black and white room, who studies everything that there is to know about color vision. After perfecting her knowledge of color, she leaves her black and white room, and suddenly experiences what it is like to actually see color. The question, from a philosopher’s point of view, is this: when Mary leaves her room, does she learn anything? This thought experiment is also known as the “knowledge argument,” in so far as it points to knowledge that can be attained only through conscious experience. Putting Mary’s room and the knowledge argument in the context of travel suggests a generalization of the knowledge argument: suppose, in isolation of the object of knowledge studied, one learns all that there is to learn about a given object of knowledge. 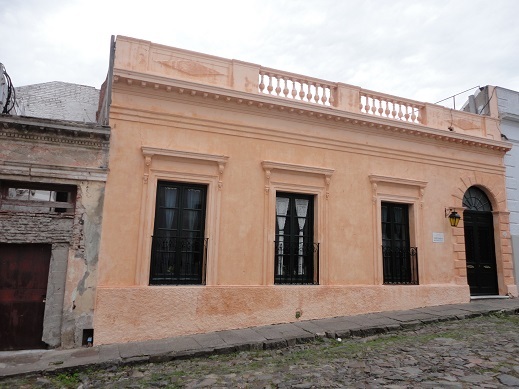 Say that one learns all that there is to learn about Colonia del Sacramento. 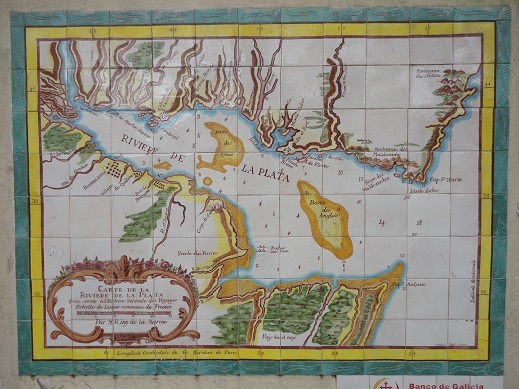 After learning about Colonia del Sacramento, does one learn anything by traveling there? Even the most experienced of travelers know that you learn something by visiting a place that you cannot learn by all the research you might possibly conduct. Another way to put this would be to say that there is something that it is like to be in a place — a formulation parallel to Nagel’s famous formulation about there being something that it is like to be a bat. The conscious experience of a place is a source of knowledge not attainable through study. As I write this I realize that this argument entails that such knowledge is ineffable, otherwise, someone who visited a place and realized what was lacking in its description could simply write it down after having visited, and every subsequent visitor would thereafter visit the place with no surprise at all, and no new knowledge would be attained by such a visit. And yet we know it isn’t like that. 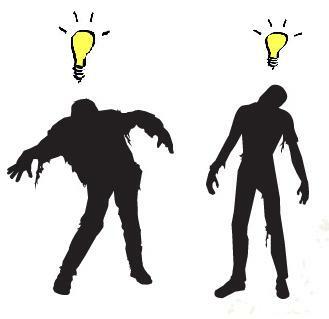 One of the thought experiments in contemporary philosophy of mind that has a certain traction with popular culture is that of “philosophical zombies.” It is a little surprising that this interest in philosophical zombies should coincide with a popular culture zombie craze, but that seems to be the case — unless we posit a zombie conspiracy that seeks to acculturate and familiarize human beings with zombie being so that when the zombies take over we will be easy prey, so to speak (sort of like — but not exactly like — the plot in Aurthur C. Clarke’s Childhood’s End). 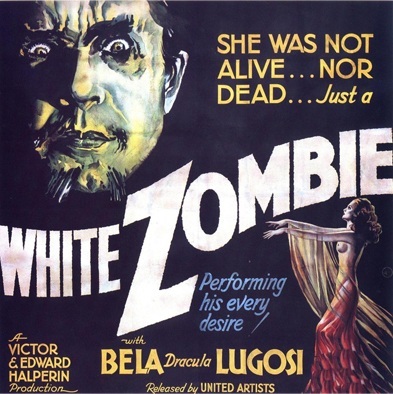 Given the pop-culture resonance of philosophical zombies an enormous amount of ink has been spilled over the idea, and it is not my wish simply to add another discussion to an already burgeoning field of zombie studies. What I would like to do, however, is to use the idea of philosophical zombies in order to broach the possibility of a thought experiment antithetical to that of philosophical zombies. Philosophical zombies are employed as a thought experiment in order to investigate the possibility of entities that are somehow less than full human beings. What about the possibility of entities that are somehow more than human beings? That is to say, what about superior beings, i.e., being superior to human being? I would like to propose a thought experiment in what might be called absolute consciousness. If zombies lack all consciousness, the antithetical condition to that of a zombie would be that of greatly enhanced consciousness — i.e., consciousness enhanced or extended beyond ordinary human consciousness. 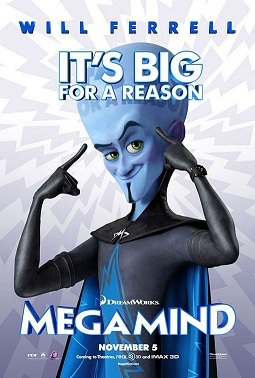 It's not only zombies that have a pop culture resonance: Megamind represents a popular culture expression of enhanced and expanded human consciousness. In order to consider the possibility of absolute consciousness, we must attempt to investigate the limitations, weaknesses, and constraints of human consciousness, and to attempt to imagine a consciousness from which these limitations, weaknesses, and constraints have been removed. This is not easy to do. As Dr. Robinson observes in his lectures, human beings experience consciousness in the way that fish experience water — it is so pervasive and so complete that it would be difficult to even identify it. But just as we learned to investigate the air we breathe and which surrounds us our entire life — and which we also took for granted in a pre-scientific stage of civilization — so too we can learn to investigate consciousness. And we have, in fact, done so in some degree of detail. If we consider modern psychiatry and psychology since Freud — and I specifically appeal to the Freudian tradition since Freud was a physician who sought to treat specific pathologies — we are presented with a detailed account of all the ways in which a mind can “go wrong,” as it were. So, first of all, absolute consciousness would experience no mental illness. This is a highly problematic claim, since it implies a distinction between mental health and mental pathology that may be relatively clear from the clinical standpoint but which is difficult to justify from a philosophical perspective. 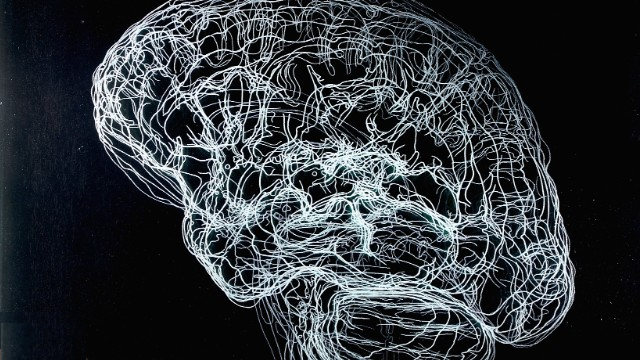 Are mental pathologies limitations to human consciousness? They are in so far as the inhibit the activity of consciousness, but I suspect that absolute consciousness (were it possible) would probably appear profoundly alien and, yes, pathological. Ireneo Funes, then, possessed the greater part of absolute consciousness — perfect memory and perfect perception. But these things are problematic also, as Borges begins to point out, when he shows Funes to be contemplating an absolute language and an absolute catalogue of memories, which the narrator realizes neither serve the essential function of language or thought. Funes is not overwhelmed by this absolute consciousness, but he is at least staggered by it, and in seeking so way to order the vast stores of memory and perception that he has at his command, descends to a level beneath that of which limited consciousness served by limited language and limited cognitive resources command. Human calculating power is manifestly deficient. The simplest mechanical or electronic calculator can calculate with greater rapidity or accuracy than almost any human being. Similarly, logic and mathematics, though human creations, are difficult in the extreme. Many of us go our entire lives without mastering them, and those who spend their lives on logic and mathematics master only a portion, and that at the opportunity cost of many other human endeavors. Presumably absolute consciousness would be perfect in calculation. And this, too, is problematic, since anyone who has studied logic or mathematics and passed beyond the rudiments of these subjects knows that they are fascinating disciplines torn by internal controversies precisely because they are imbued with the spirit of philosophy. The further reaches of logic and set theory are, in fact, difficult to differentiate from philosophy proper. 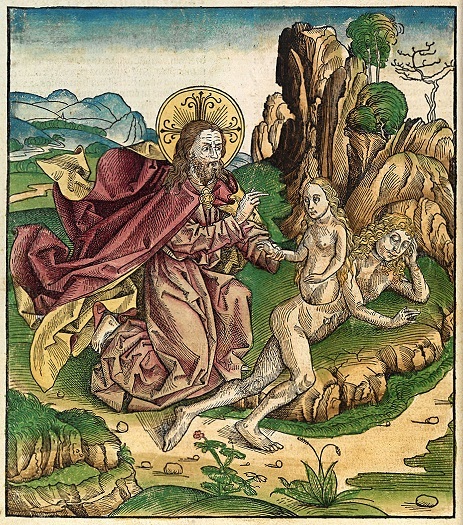 It was traditional to maintain that Adam knew all philosophy; it is not clear whether this knowledge preceded or followed the drawing out of Eve from his side. And this brings us to philosophy proper, since absolute consciousness would presumably be philosophically perfect as well. At this point we have probably reached the reductio ad absurdum of the very idea of absolute consciousness, since it is almost ludicrous to speak of a philosophically perfect mind. Not that people haven’t entertained this idea. In the early modern period in Europe it was the tradition to maintain that Adam had a perfect knowledge of philosophy, that this knowledge was subsequently lost, and all philosophy since the time of Adam was simply the rediscovery of the philosophy that Adam knew in virtue of his proximity to the fons et origo of all being and knowledge. One might think of this as a Christian re-telling of the Platonic theory of knowledge as recollection. 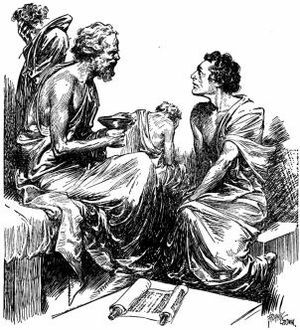 Plato had Socrates draw an ideal knowledge out of the slave boy Meno; for Plato, knowledge was absolute, and embodied in the Forms; today we are not so likely to acknowledge an ideal and absolute knowledge. Absolute consciousness may well be impossible for reasons given above, but even if impossible is remains an interesting thought experiment. What I have written here is only a rough first sketch of what might be done with the idea. If certain conventions are observed — the sort of conventions implicit in Plato’s theory of knowledge as recollection, most famously presented in the dialogue Meno — one can arrive at an “absolute” formulation of anything, but if we acknowledge that human thought routinely transcends established conventions, it cannot be so easily maintained that there is any absolute or perfect form that consciousness could take. And what is the investigation of the limits of consciousness but the investigation of the transcendence of such limitations? On the other hand, even if absolute and perfect consciousness is not possible, it doesn’t take much effort to conceive of a consciousness that is markedly superior to that which we now possess. Angels, traditionally holding a place in the Great Chain of Being between divinity and humanity, can be thought of as examplars of absolute consciousness, which falls between ordinary human consciousness and omniscience in the scale of awareness. Absolute consciousness, while it would radically outstrip the capabilities and capacities of ordinary human consciousness, still falls far short of the idea of omniscience. Indeed, we could define absolute consciousness as here sketched as personal omniscience, i.e., absolute knowledge of oneself, of one’s experiences, and of the contents of one’s own mind. Omniscience simpliciter, traditionally conceived as a divine attribute, would be absolute knowledge of everything, of all experiences, and of the contents of all minds. Thus while there is a yawning chasm between ordinary human consciousness and absolute consciousness, there is an equally yawning chasm between absolute consciousness and omniscience, and this in itself makes the thought experiment of absolute consciousness interesting, because it posits a degree of being between human being and divine being as traditionally understood. Absolute consciousness is, if you like, the consciousness of angels. If absolute consciousness is problematic, as we have seen that it indeed is, then a fortiori the idea of omniscience itself is problematic. This is, of course, not a new idea. Radical Ockhamists like Richard Holcot and Adam Wodeham attempted to think through the logic of omniscience and came to some disturbing conclusions, but this is another story for another time.